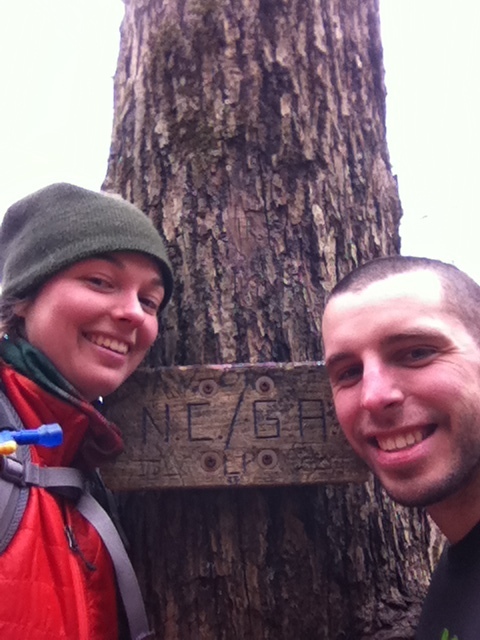 Here we are at the border of Georgia and North Carolina on the AT! Love the photo and the smiles! ALL of the presidents? My brother and I used to play a count-down-backward version of that, starting with the current administration, but I couldn’t get beyond Eisenhower if I tried right now. We may have missed a few, but it doesn’t take much to entertain us out there!